Apex Officer is the premier virtual reality military and security forces training simulator. 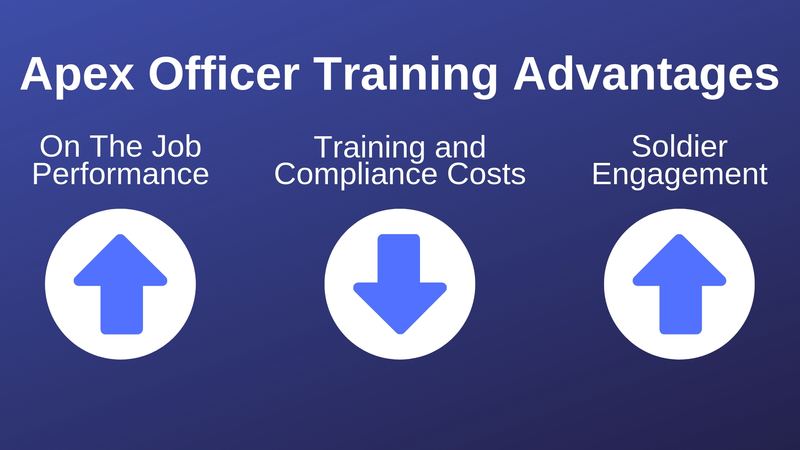 Apex Officer specializes in building turnkey virtual reality training simulators for the military and law enforcement agencies. Our top-of-the-line, 360-degree fully-immersive virtual reality military training simulator, Apex Soldier, enables soldiers to train for the most real-world situations, including ambushes, terrorist attacks and more; meanwhile, maintaining full situational awareness during extreme stress. What's included with Apex Officer's VR Military Training Simulator? What firearms Are included in the Apex Officer Military Training simulator? Apex Officer's VR military training simulator features a wide range of VR Combat Training Weapons (VTW) designed specifically for virtual reality military training. These virtual weapons are similar in size, shape, and appearance to their real-life counterparts, but do not cause harm to their owners. They are used during virtual reality combat training and simulations which are designed to instruct new soldiers (or other personnel) in the skills and techniques needed for front line action. Full list of VR training weapons and accessories can be found in the Apex Arsenal. What virtual reality training modules, scenarios, and content are included? One of the most important aspects of any training simulation is the quality of the content. Our software developers create intense, realistic scenarios, which are displayed using the best virtual reality technology. Our team goes to great lengths to ensure our training content is superior in quality, realism, immersion, and relevance. We work closely with our military clients to ensure our training content is superior in quality, realism, immersion, and relevance. We also employ subject matter experts to guide the development of our law enforcement systems and scenarios. Additional virtual reality military training scenarios can be found in the Apex Officer Scenarios and Content Library. Will Apex Officer work with the Army's Synthetic Training Environment (STE)? The Apex Officer virtual reality training technology and simulator is designed to integrate, support, and work directly with the Army's Synthetic Training Environment (STE). Apex Officer and the Synthetic Training Environment will interact with and augment live training, which is the primary training approach for the Army. This concept will allow the Army to provide a single Synthetic Training Environment that delivers a training service to the PoN. The capability will train all Warfighting Functions and the human dimension across all echelons with Joint and Unified Action Partners in the context of Unified Land Operations. 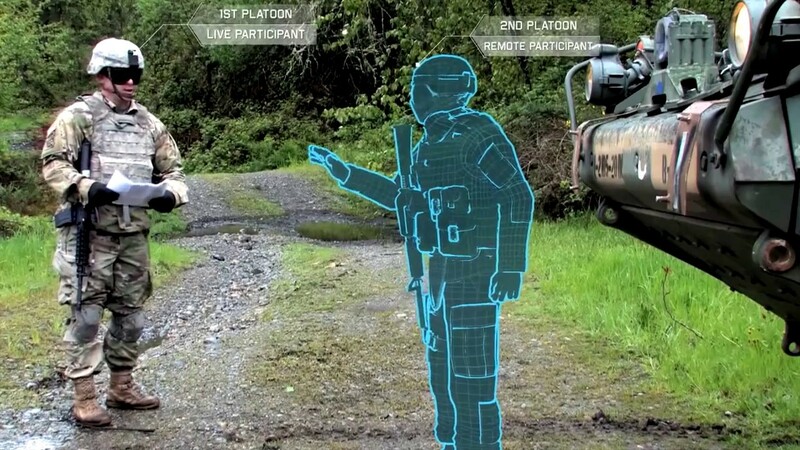 The Synthetic Training Environment (STE) is the Army's latest innovation in virtual reality and augmented reality technology. Can virtual reality military training provide teamwork training? With Apex Officer's military virtual reality training simulator, you’re able to teach a group of recruits about the importance of working together as a unit; obeying orders and following instructions to the letter. This is an ideal method for teaching recruits the skills and techniques required to be an effective member of their platoon. Plus, they can use this opportunity to learn from more experienced team members. Can we replay VR training scenarios for debriefing purposes? Apex Officer's military VR training simulator goes beyond the simulation. Repeatedly, trainers and instructors report that the real value in their integrated, immersive virtual reality training simulation is in the opportunities it creates to pinpoint exactly where their students are succeeding and falling short. Apex Soldier offers tools to facilitate after-action debriefing, analyze trainee performance, and create custom scenarios unique to your needs. We train your trainers to train your policy. As those policies change, so can your simulation. Why is virtual reality better for Military Training? Combat training plays an important role in training new recruits for military service. Soldiers need to learn about working as part of a team, forming a tight knit unit where each member relies upon the other. The ability to obey orders without question and respond instantly to a situation is a key part of combat training and is carried out from the start. Virtual reality can be used as part of that training. With virtual reality soldiers learn to respond to a variety of situations, keeping a cool head and following instructions without question. It is important that they do so or else the unit breaks down and lives are lost unnecessarily. Do you still have more questions? Request a Demo or complete this form below and an Apex Officer representative will be in touch.